Followers of Luxury Haven will know that I've beauty boxes delivered to me on a monthly basis. Well, Boxup.sg is also a similar type of subscription service. Only difference, they'll deliver a box of carefully selected chocolates right to your door every month. 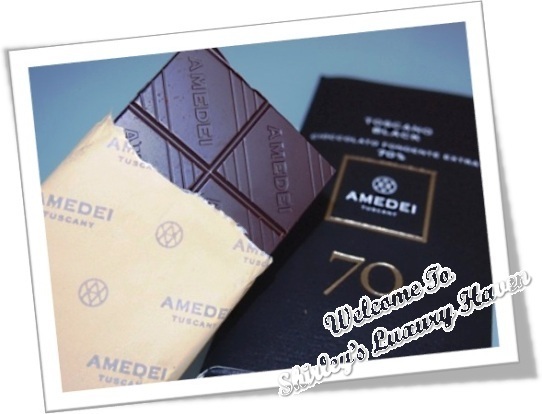 Amedei Toscano Black 70 from Pontedera in Tuscany region of Italy - World Chocolate Awards Gold Medal for best bean-to-bar dark chocolate. 70% extra dark chocolates with evoking hints of tobacco, toasted bread, orange rind,flowers, walnut & cedar wood. 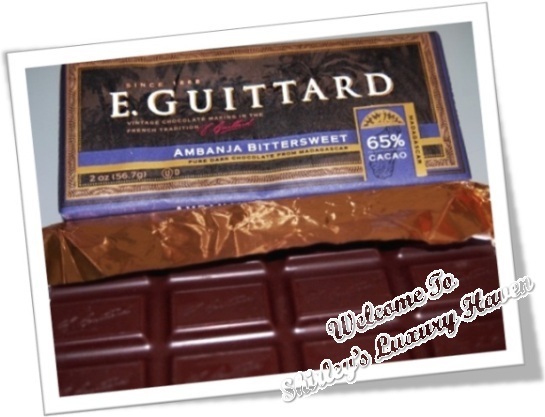 E. Gulttard Ambanja 65% - Rarified Criollo cacao beans from Madagascar are carefully handcrafted into this delicious chocolate. It mingles tart & fruity essences with one-of-a-kind, deep, rich chocolate flavour. Domori Teyuna - Colombian cacao. Notes of cashews & honey, sweet & persistent. Domori Chuao - An extraordinary Criollo, indicated by some as the highest level of fine cocoa in the Domori limited edition. An immediate perception of dried fruit, especially almond, followed by a hint of honey, vanilla & milk cream. 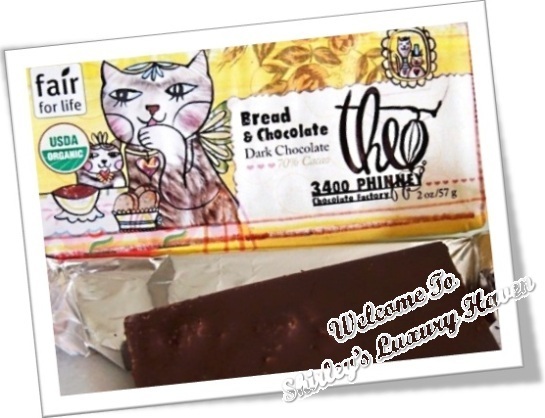 Theo Bread & Chocolate - Rich organic 70% cacao dark chocolate. Theo Chocolate is the only “Organic, Fair Trade, from bean-to-bar chocolate factory” in North America. My Top Pick: There's an irresistible crunch of buttery toasted artisan breadcrumbs in the Theo Bread & Chocolate Bar, with an unsual ingredient - salt, making every bite a sensation! So how much does it cost per box a month? 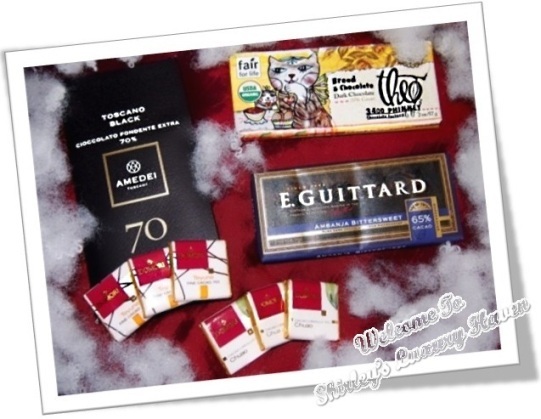 One box of assorted gourmet chocolates is priced @ S$21.99 with S$4 shipping per location. A quick walk around Takashimaya B2 will reveal that chocolate bars are averaged at S$15, so a box containing 3 bars would be worth around S$45! Actually, this is the second time I'm receiving chocolates from Boxup. They had kindly delivered two boxes for me to share with my family & friends the last time. As much as I love those adorable-looking chocolates, most of us found them all too sweet, & I didn't quite fancy their packaging; which was why you've never seen my review. What impresses me is that Boxup.sg listens to feedback from chocolate lovers, & this time they're back, with nicer presentation & their range of bitter-sweet chocolates. So do feel free to chat with Boxup & let them know your thoughts! 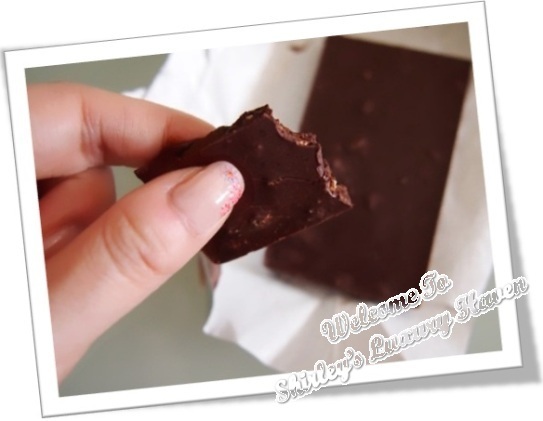 Chocolate tasting is an art which involves all five senses. So take pleasure in tasting them slowly to enjoy the aroma & flavours in your mouth. Thank you #Boxup, but I need more exotic chocolates with more surprises inside the next time pleeeeeeeeese! Charles, hahaha! I know it can be very tempting! Uru, chocolates are gals' best friends too! yummy!!!! Would you maybe like to follow each other? Would be great! Eve, thks for visiting & will be checking u out soon! love this cute chocolate appearance!! Hope you are having a great Sunday!! Amy, glad u like it too! Have a great week ahead! I love surprises too! What an interesting idea, having chocolates delivered to your doorstep every month and surprise yourself with the contents. Great idea, especially for a guy trying to woo a lady. LOL! DS, sounds like a brilliant idea for the guys! X'mas is near, this makes great gift too! Agnes, I can eat chocolates everyday. Hahaha! I'm a chocoholic so this sounds pretty amazing to me :) What a great gift idea! Sylvia, great to have another chocolate fan here! Eve, thks for following & I've done the same! Aren't you sharing that box of chocolates with us? Balvinder, would love to! Hahaha! Will do, my dear! SF, hahaha! That's so true! Τhis is vеry interesting, You arе a νerу skilled blοgger. I have jοined your feed and look forward to seeκing more of your magnificent post. Thks for your kind note & will chk out your blog soon! Shirley, chocolates delivered to my door would be the ultimate treat -- even better than beauty potions, lol! -- but I appreciate your discerning review. Kim, I love both; the more the better! Hahaha! Choco subscription! Boy am I in trouble!!! YL, oops! Hahaha! Just watch out weight lor. Chocolate at your doorstep, would be soon needing a Dentist on the doorstep also; if my donut sees this. Edmend, I'm sure they do. Just check out the malls. Have fun! It is іn reаlіty a nіce and helpful pіece οf infοrmation. I'm happy that you simply shared this helpful information with us. Please stay us up to date like this. Thanks for sharing. Thks for visiting & it's great having u here! Happy Holidays! Pepper, it's an interesting concept, isn't it?? Thanks for alerting me! Did a search and couldn't find their site too. Guess the service is no longer active since the post was in 2012. I shall remove the link. Thanks again!